Resilient Heart by Annabeth Albert is a stand-alone novella originally released as part of the anthology Unconditional Love, An M/M Military Bundle. This author has decided to release this story on its own and has added a brand new extended short story/ epilogue, Entwined Future, to give fans more to Mackey and Xander’s story. Xander’s life was irrevocably changed when the convoy he was traveling in exploded when it hit an IED. As an Army IT specialist he never expected to be the injured in the line of duty; however, this is the reality he now faces. One with days filled with painful therapy he does not want and one where he now must learn how to live with the scars and a life with a missing forearm and an injured foot. When his ex-friend-with-benefits, Mackey, shows up offering Xander help and a place to stay while he recoups, Xander can’t determine how his life got so complicated. Both men ended things badly right before Xander was severely injured and now Mackey is back being all sympathetic and caring leaving Xander very confused. After all, while they were serving together Mackey wanted nothing more than a casual sexual relationship when Xander harbored deep feelings for his friend and wanted so much more. Why was Mackey back in his life and offering him all the things he wanted from him in the past? Why did he return when Xander is so broken and has nothing to give back? Watching his best friend almost die did something to Mackey. He realized that life is fragile and that he wanted so much more than a casual relationship with Xander. When Mackey is finally able to return to be at Xander’s side, what he encounters is a different man than the one he knew in the Army. Xander is angry and is suffering from depression and PTSD. He’s angry at the world for the situation he now finds himself in, angry at everyone who is trying to help him and angry at Mackey. He is not so willing to trust Mackey’s declarations of love and commitment. Mackey has his work cut out for him while he, himself, is still dealing with his own feelings of guilt. Can Mackey be the one that helps Xander get past his demons and begin to heal? This is a feel-good character-driven story that definitely packs an emotional punch. I loved how Mackey was unwilling to give up on Xander no matter how harsh and unforgiving he was being. He truly was determined to prove to Xander that he was there to stay for the long haul. The two men had to slowly redefine their relationship as they progressed into something more meaningful and profound. Xander was just beginning his journey of healing and no doubt that the couple would have their ups and downs. There was no side-stepping around this issue and I appreciated that. 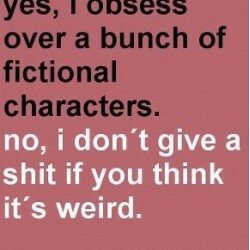 It made the story a lot more real and reflective. All in all, Resilient Heart and the lovely epilogue, Entwined Future, are just more examples of why I am fast becoming a fan of Ms. Albert. Her touching and thoughtful romantic tales always leave me happily sighing. Definitely a recommended read! 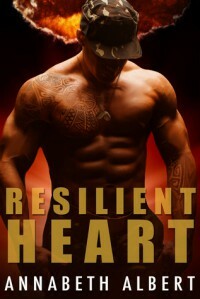 ****A review copy of Resilient Heart by Annabeth Albert was generously provided to me in exchange for an honest review.